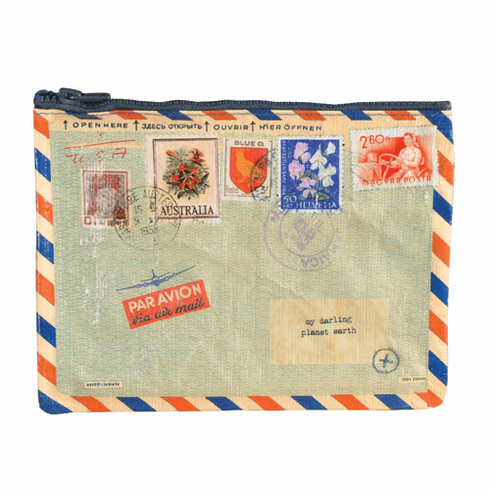 Sweet and vintage, this pouch has just flown in. 9.5"w x 7.25"h. 95% recycled post consumer material has a crushed, wrinkled look when sewn into Zipper Pouches. This is normal for the high recycled content. We love the earth.